Researchers at Ohio State University were perplexed when they came to analyze data from the National Longitudinal Study of Youth, a program that has, since 1979, tracked the experiences and attitudes of young people through biennial interviews. What surprised the researchers was that a significant number of young adults--and especially those who came from poorer backgrounds--reported that the higher the amount they owed in education and credit card debt, the better they felt about themselves. In other words, the more they owed in student loans, and the higher the balances they rolled forward on their credit cards, the bigger the boost to their self-esteem, and the greater their feeling of empowerment. We thought educational debt might be seen as a positive because it is an investment in their future, while credit card debt could be viewed more negatively,. Surprisingly, though, we found that both kinds of debt had positive effects for young people. It didn't matter the type of debt, it increased their self-esteem and sense of mastery. Interestingly, there was a correlation between the wealth of the young people's families when they were growing up, and this feeling of empowerment. Those with the poorest (in the financial sense) childhoods were the most likely to see credit card debt in a positive light. Those with middle class backgrounds tended to do so a little less, while few of those from the most affluent homes saw any link at all between debt and self-worth. The oldest people in the study, those over age 28, were just starting to feel the stress of their debt… they may be realizing that they overestimated how much money they were going to earn in their jobs. When they took out the loans, they may have thought they would pay off their debts easily, and it is turning out that it is not as easy as they had hoped. Now, it's tempting to reduce these findings to an age-old story: Kids do stupid things, discover the consequences, and come to regret their earlier actions. It's called growing up. However, when a whole lot of young people, mostly from similar backgrounds, all develop the same twisted view of reality, it may be time to ask whether they're being fed the wrong messages during their formative years. Credit card use and debt "normalized"? Over time, credit card use and heavy debt has become normalized in our culture. Even though we say as a society, 'don't get in debt,' the overwhelming messages being sent out--from the way credit is used to approve or disapprove us for services to political leaders telling us to spend after a big disaster to prove our patriotism--all of this has created a culture of debt. It's easy to sit back and blame consumers for just spending too much, but the truth is we have an entire infrastructure set up to support, maintain and encourage credit card use and debt. Glenn Beck once famously observed that "empathy leads you to very bad decisions", and linked that emotion to Nazi Germany's T4 program, "which led to genocide everywhere." Whether or not you subscribe to that Weltanschauung, it's hard not to experience some empathetic feelings when seeing friends or relations struggling with unmanageable credit card debt. It's when such debt belongs to strangers that attitudes often harden. Then, there's a tendency to differentiate between the worthy (those who tried to be responsible but were overtaken by events beyond their control, such as unemployment or illness), and the unworthy (spendthrifts and deadbeats). But few knowingly take on debt that they know they're unable to repay, and--if Rachel Dwyer and Michelle Barnhart are correct--many see carrying high balances on credit cards as an integral part of the zeitgeist. That may not excuse irresponsibility, but it could help explain it. 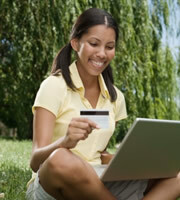 Credit card debt set to rise again? According to the Federal Reserve, the amount owed to credit card companies has been falling since the credit crunch. In April 2011, it stood at $790.1 billion, compared with $957.5 billion in 2008. But the Fed's figures suggest that the rate of decrease in this debt is slowing, and some expect it to have risen again, perhaps by as much as $20 billion, by the end of this year. This needn't necessarily be condemned. As USA Today pointed out on June 17: "...with 70 percent of the economy tied to consumer spending, a little more plastic and a little less caution might not be a bad thing." However, this time around, it may be useful to re-balance between borrowers and lenders the responsibility for unmanageable debt. Clearly, those who owe money should repay it, but credit card companies could be more proactive in excluding those who wish to borrow excessively because they think it's the done thing, or because it makes them feel good about themselves. 0 Responses to ""I owe, therefore I am" say many young adults"